China is one of the most dynamic markets for ­­healthcare and products relating to healthcare, this is credited to its burgeoning economy and its demographic capital. However, the generation which had powered the Chinese economy to where it is currently, is ageing. The projected demographic shift show that China is growing old at a faster rate and at an earlier stage of development than most countries. 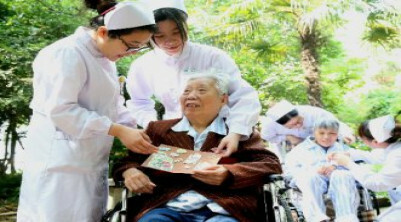 The purpose of this paper is to analyse the latest findings on challenges of an ageing and elderly population in China with emphasis on the city of Shanghai. The relevant question relating to this end was: What is the pattern of demographic transformation in China (Shanghai)? What are the types of services available for the aged? How is the government prepared to handle its ageing population?